I’m pleased to present Digital Revolutions’ latest calendar wallpaper, specifically crafted for January 2009. 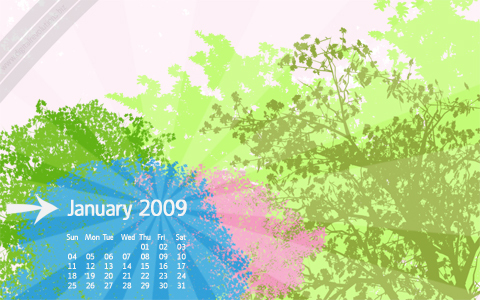 Turn your desktop into a virtual calendar this January by downloading this free, widescreen wallpaper. This is truly a peace of work here, I’m pretty sure you are my new hero and im going to build a shrine in your name because of you mad Skillz.